The Edmonton Oilers have drafted a number of exceptional hockey players since the franchise entered the National Hockey League in 1979. 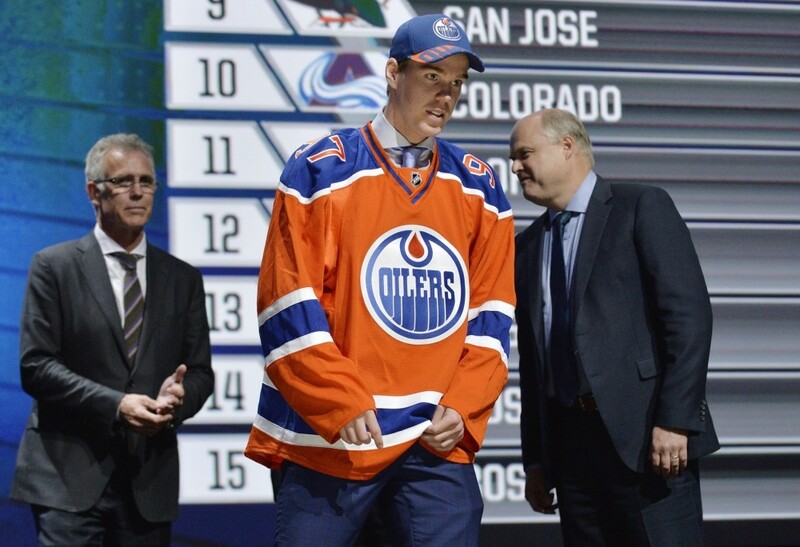 In total, the Oilers have selected a massive 368 players in their 35 year history. Of those drafted 368, five have gone on to be inducted into the Hockey Hall of Fame. These men are Mark Messier, Jari Kurri, Paul Coffey, Grant Fuhr and Glenn Anderson, all terrific players who have long been widely recognized throughout the NHL. However, one reality which is lost to many is the fact that these five Hall of Fame players were drafted by the Edmonton Oilers within a mere three years of one another in the NHL Draft! Anderson and Messier were selected in 1979, Kurri and Coffey were chosen in 1980 and Fuhr was drafted in 1981. These selections provided an incredible amount of elite talent to the Oilers within an incredibly short period of time, talent which led to the great Edmonton Oiler dynasty of the 1980’s. Yet this begs the question, which NHL Entry Draft was the greatest in Edmonton Oilers history? To attempt to answer this debate, let’s take a quick look at the 1979 and 1980 drafts to determine how significantly those selected were able to influence the success of the Oilers throughout their careers. A strong defensive defenseman, Kevin Lowe was a staple on the Oilers blue-line for 15 years in his NHL career. A veteran of 1254 career games as well as 214 playoff contests, Lowe helped lead the Oilers to an incredible five Stanley Cup Championships from 1983-1990. 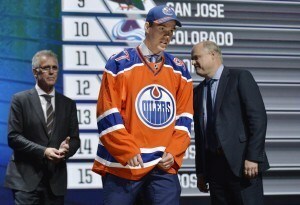 Lowe was the Oilers’ first ever draft pick and scored the teams first goal in the NHL. Inducted to the Hockey Hall of Fame in 2007, Messier also won five Stanley Cups with the Edmonton Oilers in a seven year time span. In all, Messier played 12 seasons with the Oilers, recording an impressive 392 goals and 1034 points, while he led the NHL in playoff points on the road to an Edmonton Stanley Cup victory in 1990. A two time winner of both the Hart Memorial Trophy and the Frank J. Selke Trophy, Messier is an all-time Oilers great. A 16 year NHL veteran, Glenn Anderson played for the Edmonton Oilers from 1980 until 1990, a period in which he, like Messier and Lowe, won a whopping five Stanley Cup Championships. Inducted into the Hockey Hall of Fame in 2008, Anderson scored 498 goals and 1099 points in his 1129 game NHL career, with 417 of his goals scored while with the Oilers. 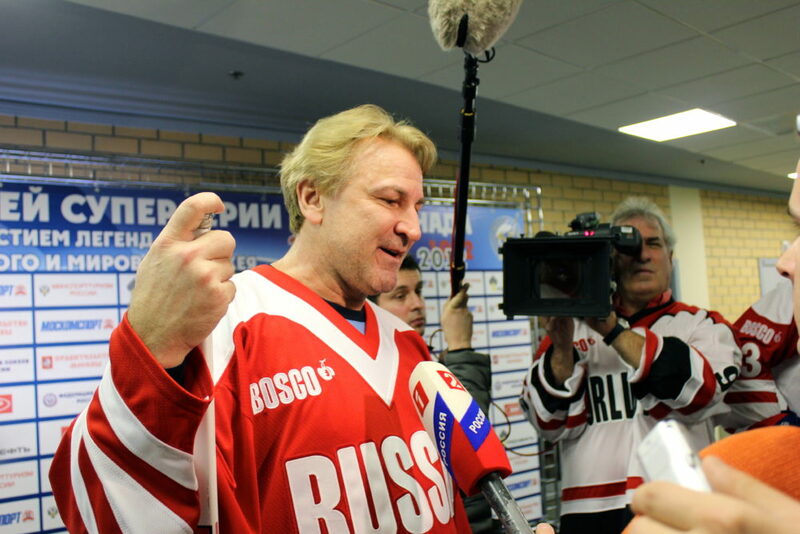 Max Kostovich never played an NHL game. Mike Toal played a total of three NHL games, all with the Oilers. Blair Barnes played one NHL game which came with the Los Angeles Kings in the 1982-83 season. Quite possibly the greatest defensemen in NHL history, 2004 Hockey Hall of Fame inductee Paul Coffey spent seven season in Edmonton with the Oilers, where he won three Stanley Cup Championships. Known for his amazing offensive abilities alongside solid defensive play, Coffey scored a mind blowing 1531 points in his 1409 game NHL career, 396 of which were goals. A 14 time All-Star and three time recipient of the James Norris Trophy as the NHL’s top defenseman, Coffey was essential to the enormous success of the great Oilers dynasty of the 1980’s. An enforcer with offensive edge, Shawn Babcock was never able to crack an NHL roster. 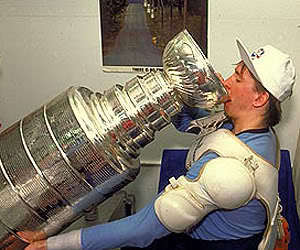 Jari Kurri drinks from Lord Stanley’s Cup!!! Similar to Glenn Anderson, Jari Kurri spent ten seasons of his 17 year NHL career with the Edmonton Oilers, winning five Stanley Cups. Inducted into the Hockey Hall of Fame in 2001, Kurri was a goal scoring machine, netting 71 goals in 1984-85, a season in which he won the Lady Byng, as well as 68 the following season. In total, Kurri scored 601 goals and 1398 points in his illustrious career. An all-time Oilers great, Kurri also went on to play for the Mighty Ducks of Anaheim, Los Angeles Kings and briefly for the New York Rangers. Walt Poddubny only played four games with the Oilers, however he went on to have a solid NHL career. In total, Poddubny appeared in 468 games, recording 184 goals and 422 points, including one 40 and two 30 goal seasons. A centerman, Mike Winther never played in the NHL. Despite being a seventh round draft pick, goaltender Andy Moog had a solid NHL career, playing in 713 games. A winner of the William Jennings Trophy in 1989-90 with the Boston Bruins, Moog finished his career with an impressive 372-209-88 record, while he won three Stanley Cups with the Edmonton Oilers in the early 1980’s. A goaltender, Rob Polman-Tuin never played in the NHL. Lars-Gunnar Pettersson never played an NHL game, rather, the Swede enjoyed a 14 year career in the Swedish Hockey League. Have your say! Which do you think is the greatest NHL Draft in Edmonton Oilers history? Is it the class of 1979 led by Kevin Lowe, Mark Messier and Glenn Anderson, or is it the class of 1980, led by Paul Coffey, Jari Kurri and Andy Moog? Both classes contained two future Hockey Hall of Fame Inductees, while all of those who played for the Oilers helped fuel the teams incredible success of the 1980’s.